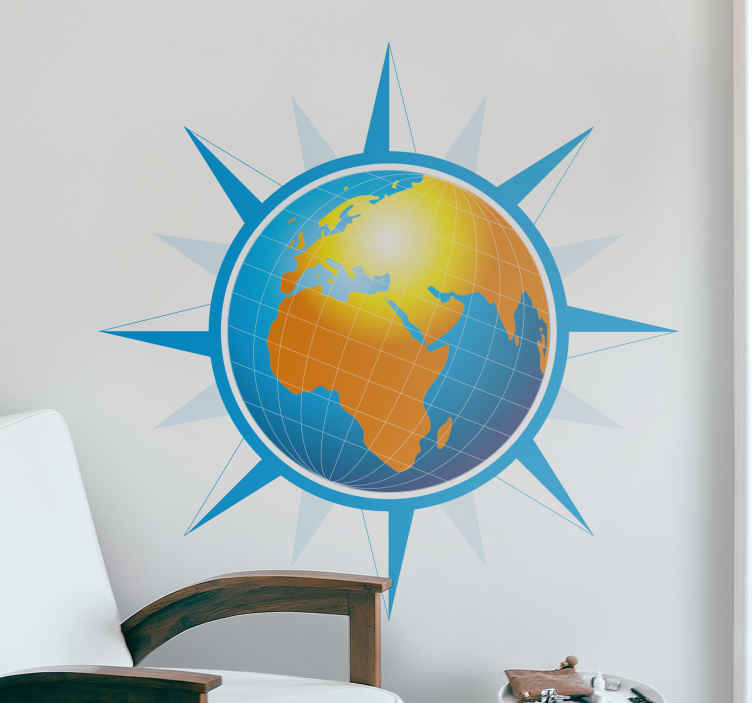 A creative wall decal of the world map with a touch of a wind rose. A great sticker to decorate your room if you love flowers. A combination of the earth and flowers! Fantastic for those that love both. Superb to bring some colour into your home and have your guests in love with your decoration. Available in different sizes. Easy to apply with no bubbles at all!